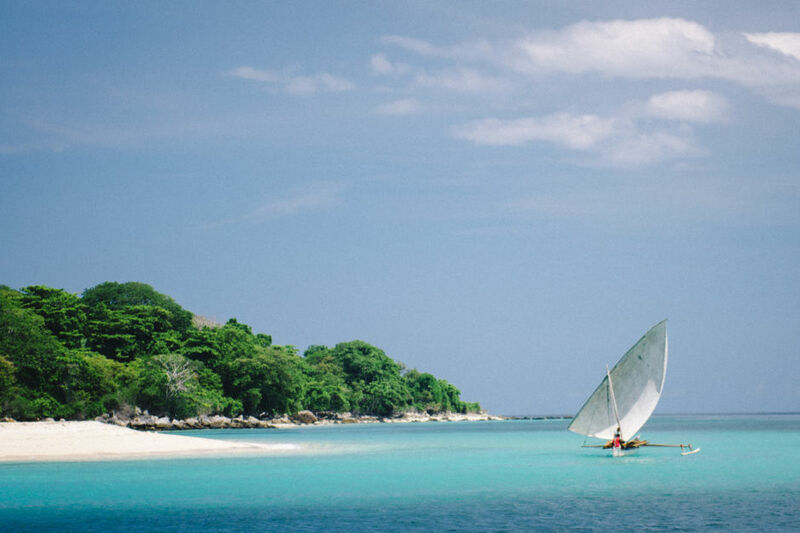 A vast portion of Madagascar’s fabled coast is accessible only by boat. I embarked on a ten-day expedition (organized by ALEFA) throughout the northwestern part of the island. I visited remote communities, beautiful empty beaches, had encounters with some of the rarest animals in the world, and a chance to see places few travelers ever have. Each day was different. I foraged, spear-fished and/or traded food with local fishermen. I found fresh water to bathe in and amazing snorkeling and hiking. Exploring the coast of the Grand Terre — the Great Land — as the Sakhalave people of the region call it, was unforgettable. 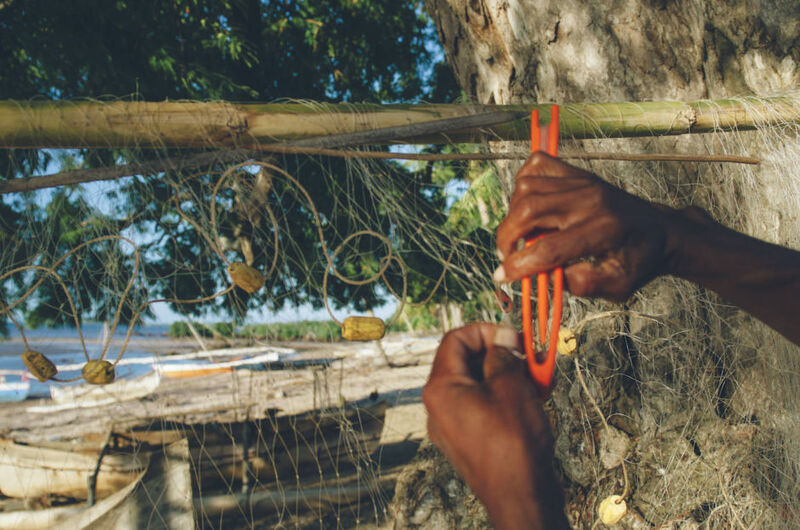 A fisherman spends an afternoon on a pristine white sand beach and repairs his nets by hand. 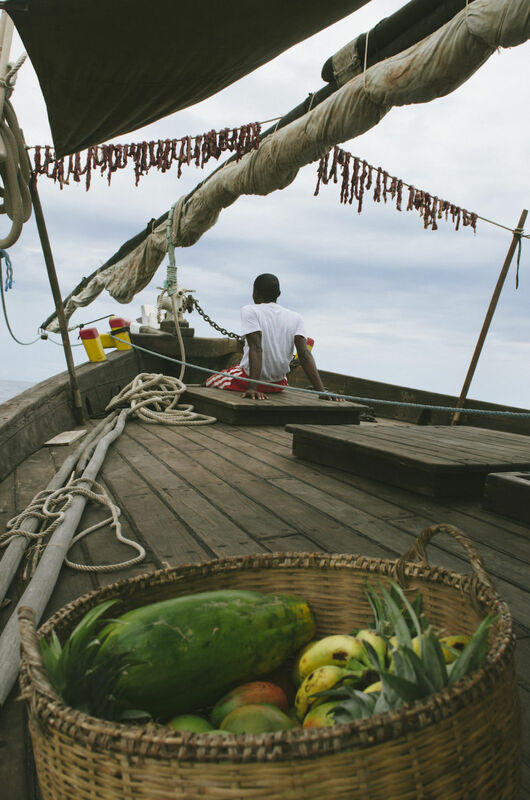 We departed Nosy Be, in the northwest of Madagascar, taking with us some fruit and putting out beef to dry as we sailed. We later ate the beef barbecued, with local rice, for snacks. 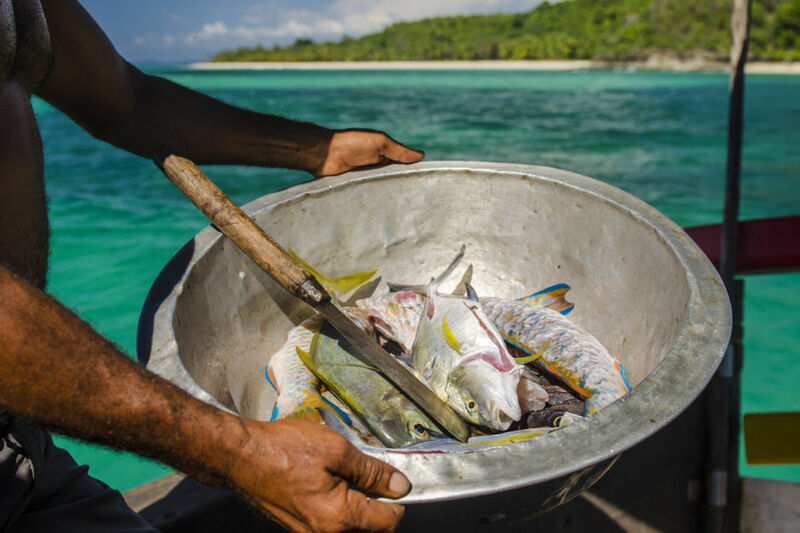 Every day, we would stop to barter, buy or fish for food- but more often than not, our skilled crew would spearfish on the reef. 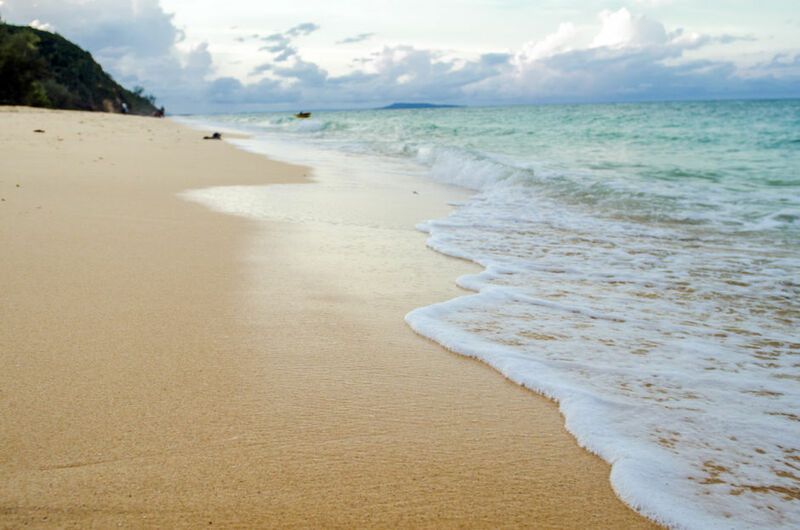 We couldn't resist beautiful sandy beaches. Every day, we would sail and decide where we would go. Behind this beach, a gorgeous warm freshwater stream allowed us to wash off the salt of our travels. 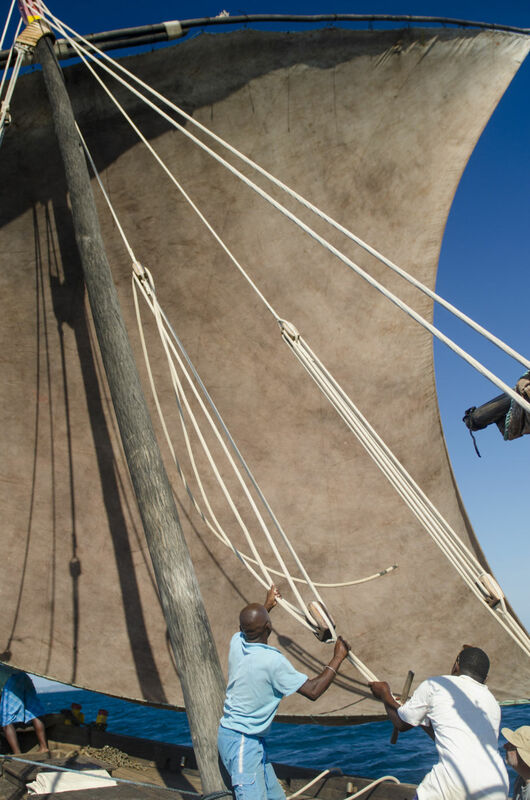 The huge dhow was made by hand and required six to eight men to hoist up the sail. 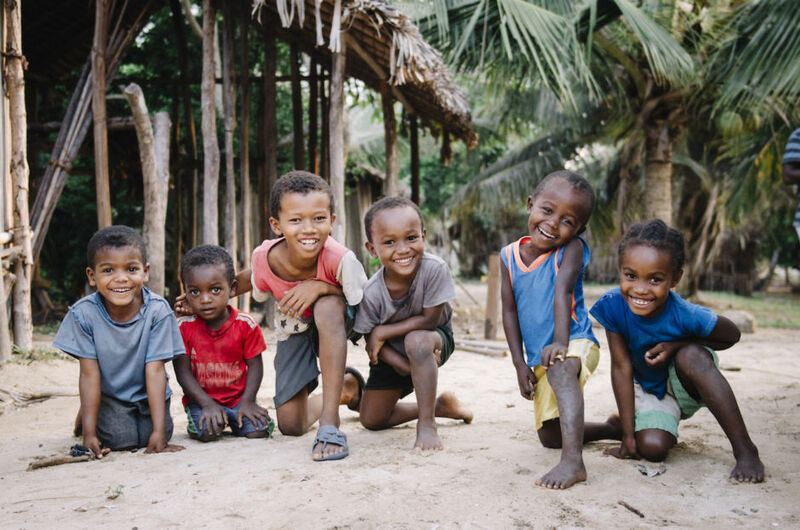 Local children were a delight to meet and play with. 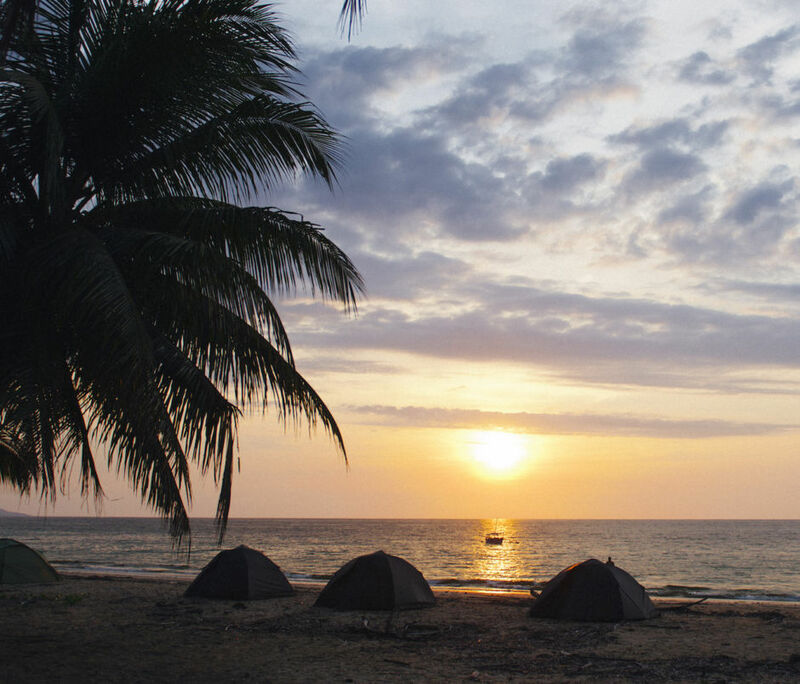 Camping on remote beaches was one of the best parts of the trip. 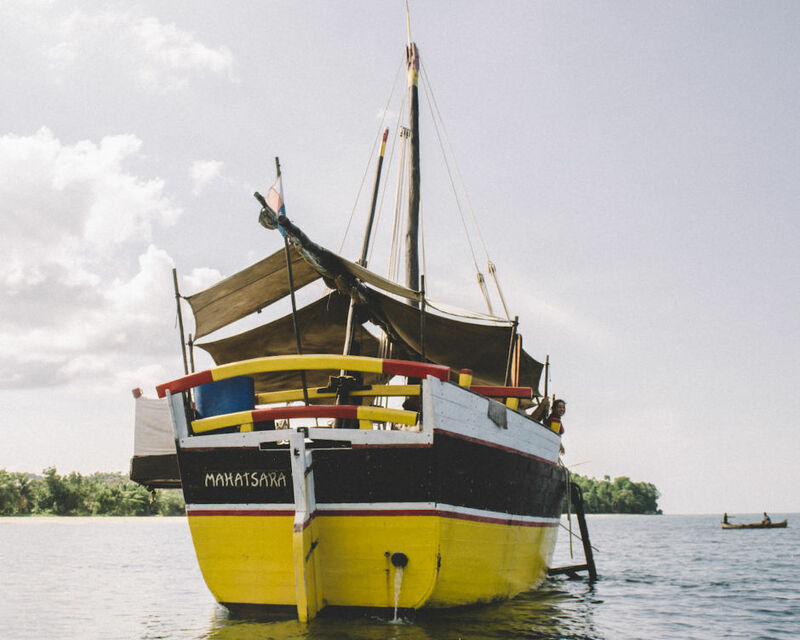 Our dhow was called Mahatsara, “the beautiful one,” and was custom-built by the owner. 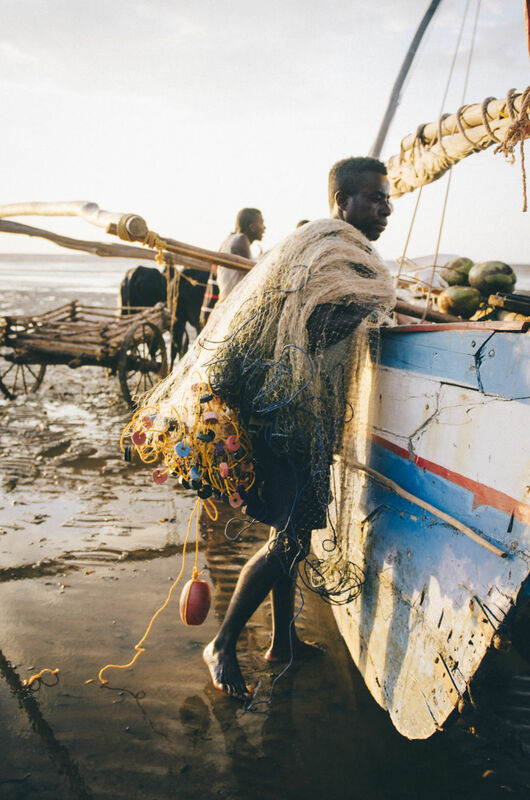 Dhows have been used by traders on these coasts for hundreds of years. Gorgeous turquoise waters and white sandy beaches to explore. 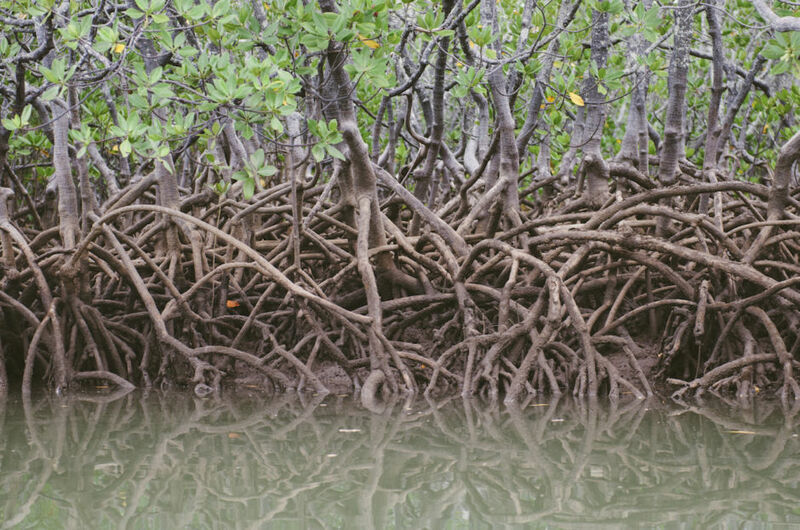 In the remote Ramada archipelago, our search for the extremely rare blue-eyed lemur took us through dense mangrove forests. 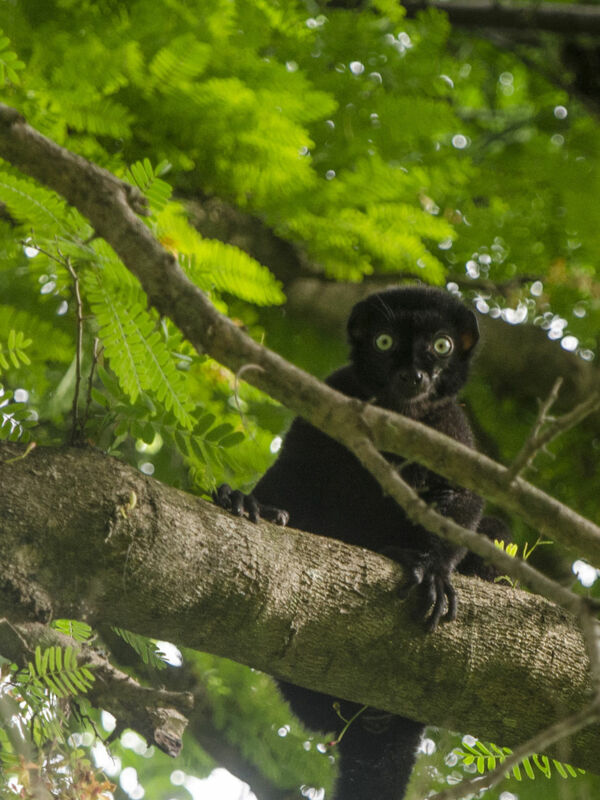 The blue-eyed lemur is one of the rarest mammals in the world. 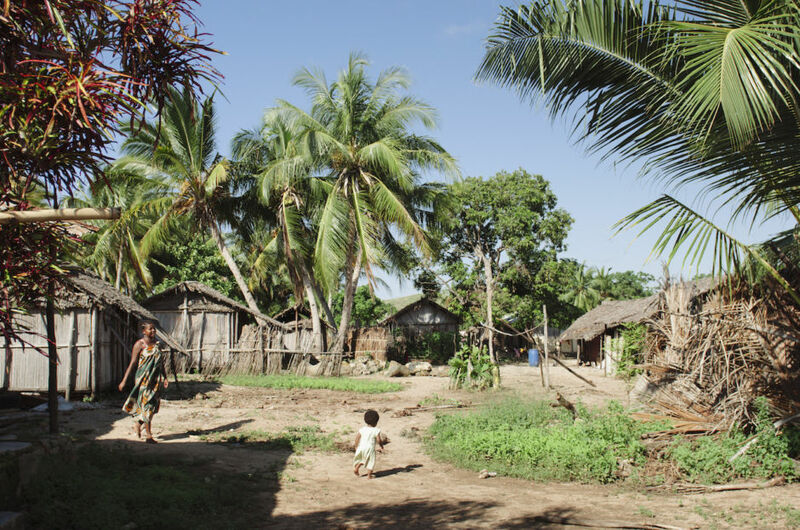 It lives only in a tiny section of remote Madagascar. The male is black with blue eyes and the female reddish blonde with the same bright eyes. Being able to see these animals was one of the high spots of our unique trip. Local boys pose on a beautiful day on the beach. 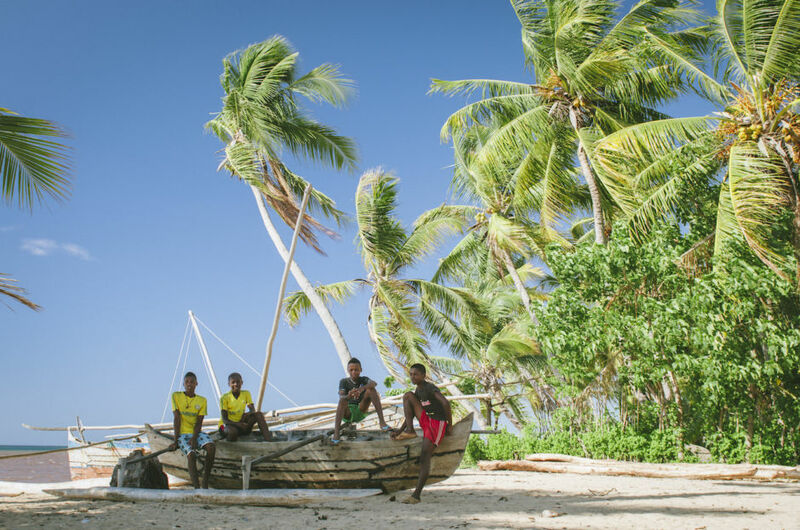 Sometimes we camped on remote beaches; other times we anchored, then stayed in small villages, in which the incredibly friendly locals were a delight. 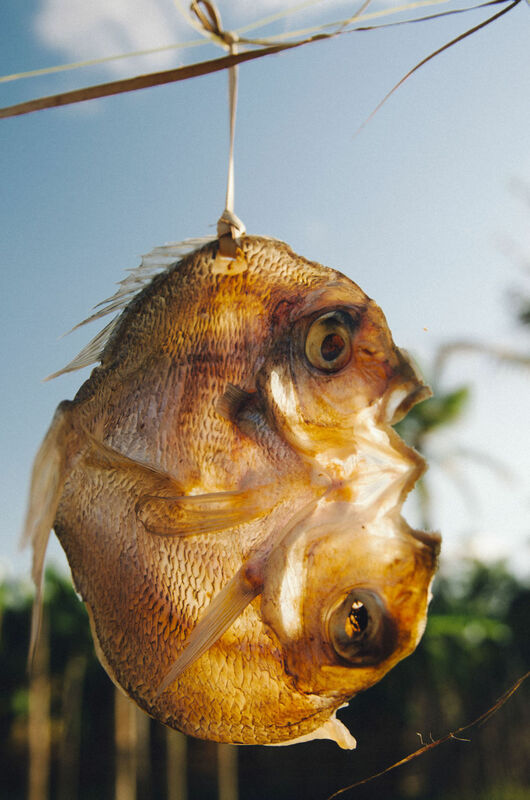 Fish are dried to save for future meals. 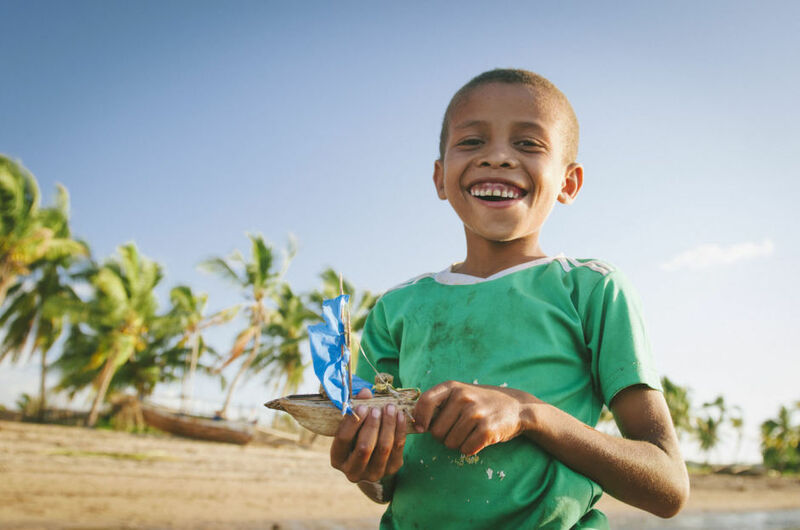 A little boy plays with a toy boat made from raffia wood and cloth. 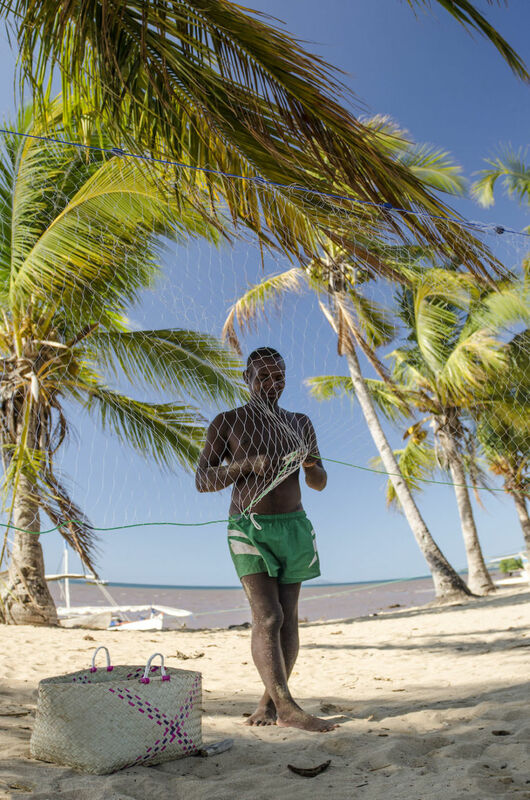 A fisherman fixes his net at the beach. 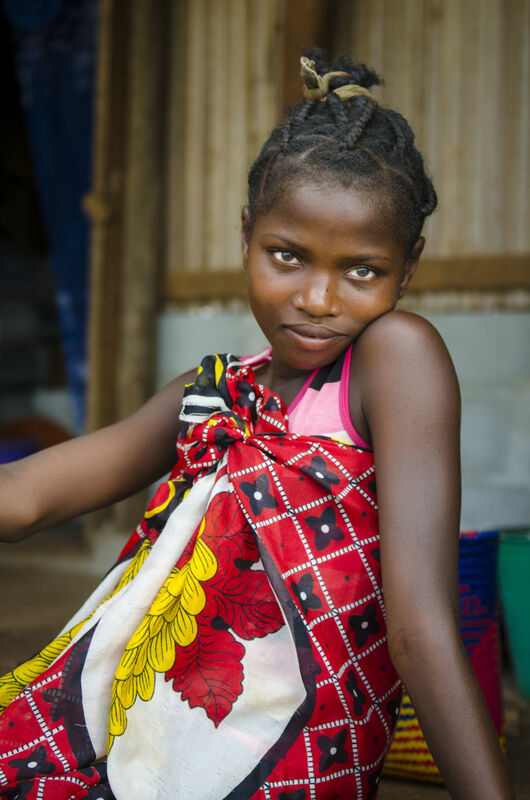 A Malagasy beauty queen. On this coast, the animist religion means that each region has its own royalty. They are crucial in the everyday hierarchy of the community. A fisherman checks out the cargo inside a trading ship. before he heads out to fish at sunset. 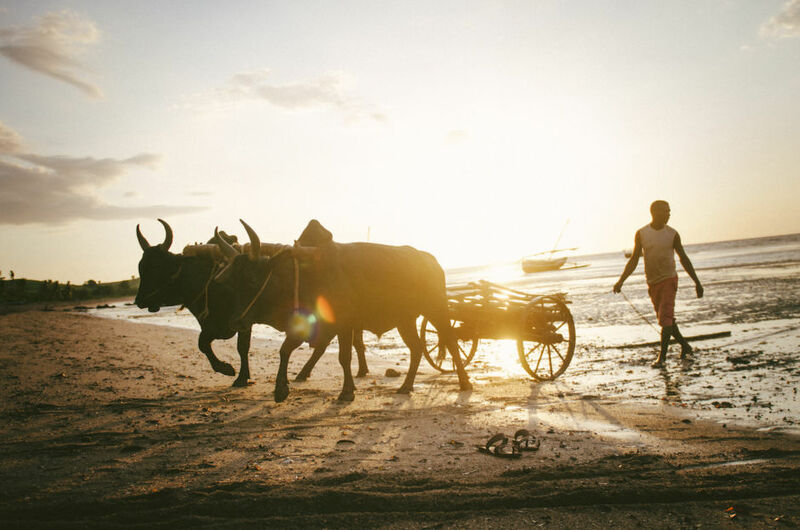 Zebu pull a cart used to load up boats that will bring cargo from surrounding villages and take away coconuts and precious minerals. What’s going on in… Madagascar?